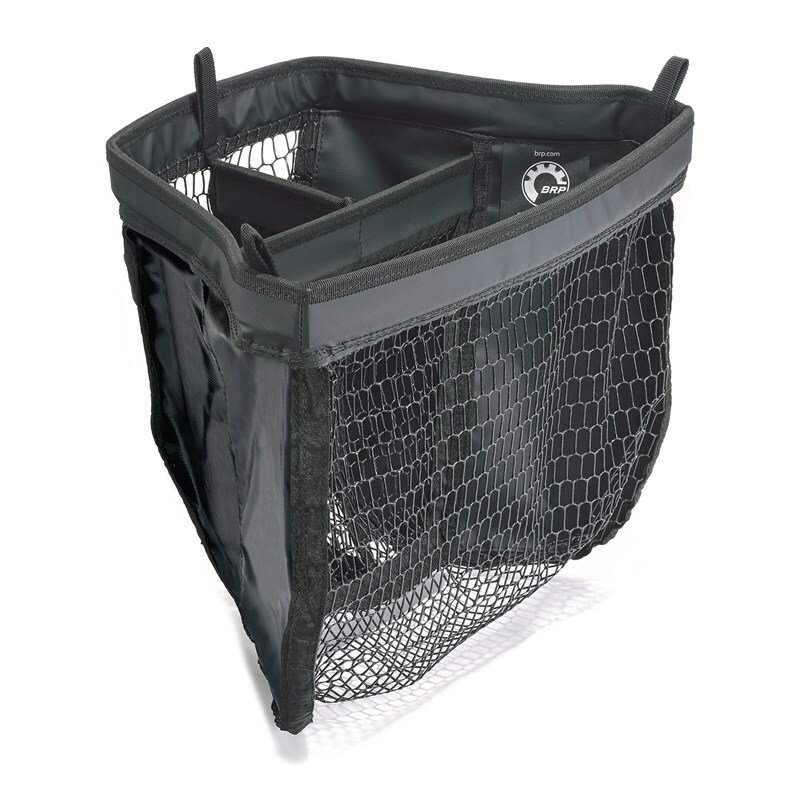 Leave-in breathable premium-coated synthetic mesh organizer. Perfect for safely storing and organizing smaller valuables. Designed to be installed in conjunction with the Removable Storage Bin Organizer (295100732) for a complete set-up. Standard on GTX Limited models (2018).